This event is the first of its kind in Northern Ireland. 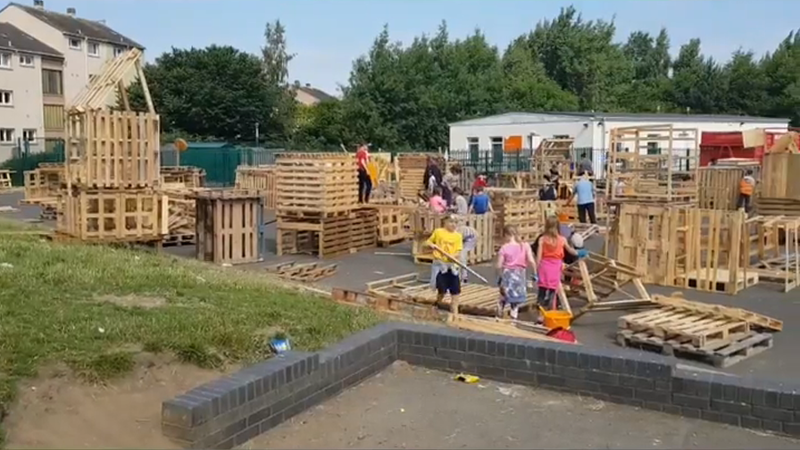 Children will be supported to use real tools and wooden pallets to create their own play resources, spaces and dens. There will be games and opportunities to pick up some sports tips and tricks and time for some good old freely chosen, self-directed and intrinsically motivated. This entry was posted in Belfast Outcomes Group and tagged belfast-og, news/events by Michael. Bookmark the permalink.